I bought a gorgeous mint Horsman Cindy trunk set on Ebay. This set is from 1958. She was untouched in her fiberboard trunk with three extra outfits. 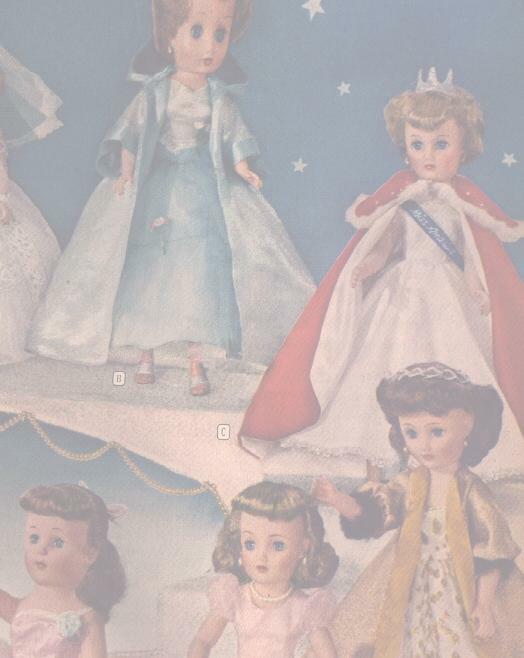 This doll was made in 1958 and 1959. She is 16" tall and comes dressed in her red gown. She is marked Horsman on the back of her neck. 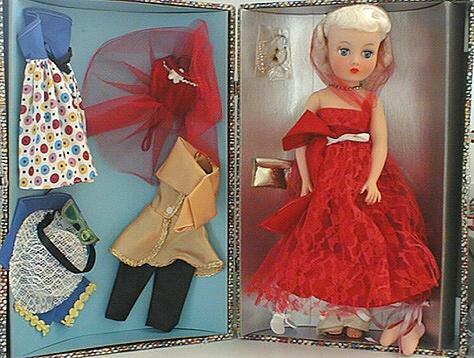 This set comes in a fiberboard doll trunk with two sets of jewelry, pearls and rhinestones, 3 pairs of shoes, white, red and pink ballet slippers. A blue dress with hat and sunglasses and shawl, red ballet tutu and gold and black lounging outfit and red ball gown. She also comes with nylon stockings and a gold purse. 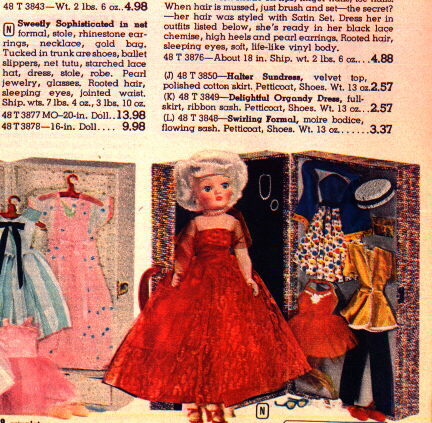 A picture of an ad for this set in the 1958 Montgomery Ward Christmas catalog. Cindy wearing her gold and black lounge set.